Beer halls, historic architecture, gardens, museums, palaces, cafes and nightclubs – in a nutshell this just about sums up all the great things you can see and do in Munich. The capital of Bavaria, Munich is a beautiful city surrounded by forests and flanked by the Bavarian Alps. Come for the world’s best Oktoberfest or just to admire its historic center. Here are our top 10 things to do in Munich. You don’t have to be a fan of BMW to enjoy a visit to this Munich attraction, though it does help! Anyone with an appreciation for cars, and perhaps for German engineering, will be impressed by this museum which is located close to the Olympiapark and was opened in 1973. It tells the story of BMW and includes German as well as English information. There are exhibits and things to read but most visitors enjoy looking at the cars through the years as they include some very early automobiles as well as motorbikes, and the newer additions to the BMW family, Rolls Royce and Mini. 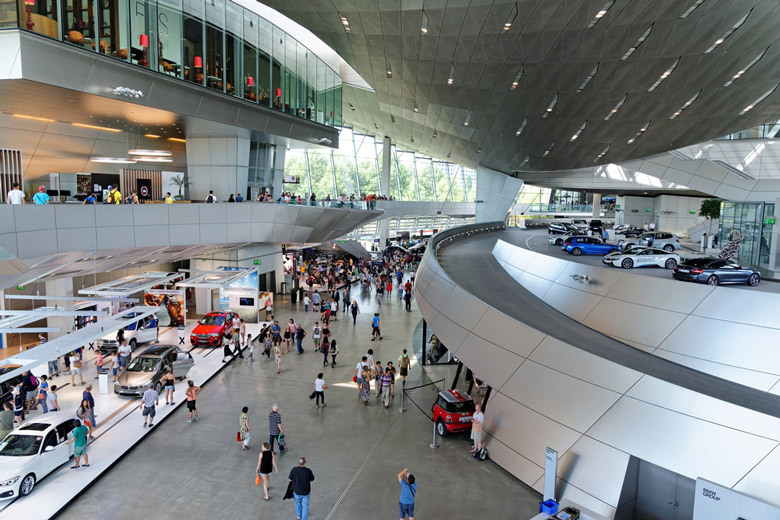 Give yourself a couple of hours to look around the museum if you’re a car enthusiast and maybe slightly less if you’re not, and while you’re here you should head into BMW Welt next door. Meaning BMW World, this architectural gem of a building includes exhibits, simulators, restaurants and the latest models and is itself one of the top things to do in Munich. Finally, car enthusiasts will also love taking a factory tour. You can get tickets from the museum for this informative and interesting guided tour behind the scenes of one of the world’s most revered auto companies. Although much of the happiness, passion and glory of the 1972 Olympic Games were overshadowed by the Munich massacre, Olympiapark remains a popular Munich attraction to this day and a venue for many cultural, sports, social and religious events. 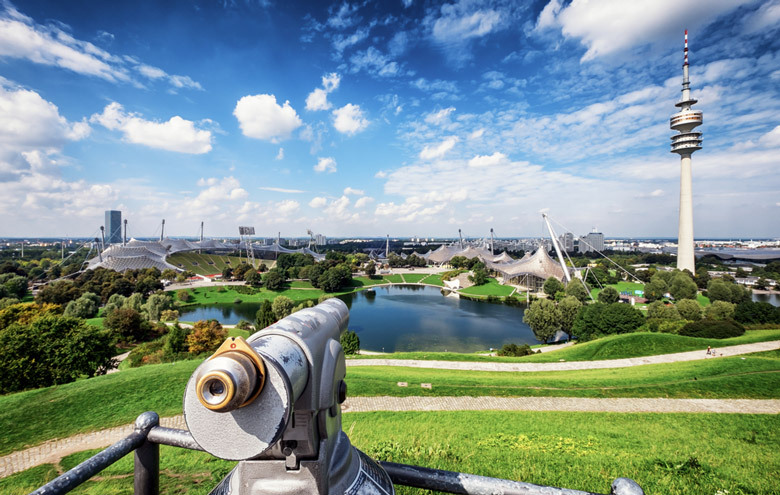 As a visitor to Munich, Olympiapark will interest anyone who follows the Olympic Games but it’s also just a nice place to come and wander around the park’s trails and enjoy the lake. If you do nothing else, plan to go up the Olympic Tower, Olympiaturm, which was opened well in time for the Olympics, in 1968. The views from the observation deck at a height of 190 meters are amazing and suffice it to say, you can see the entire Olympiapark and much of the city from up there. A nice way to spend more time at this Munich attraction is to stay for lunch or dinner in the revolving restaurant, and there’s also a small rock and roll museum within the tower. Elsewhere within Olympiapark remnants from the Olympics include the Olympic Village, the Swim Hall, the Ice Rink, and the Olympic Stadium. 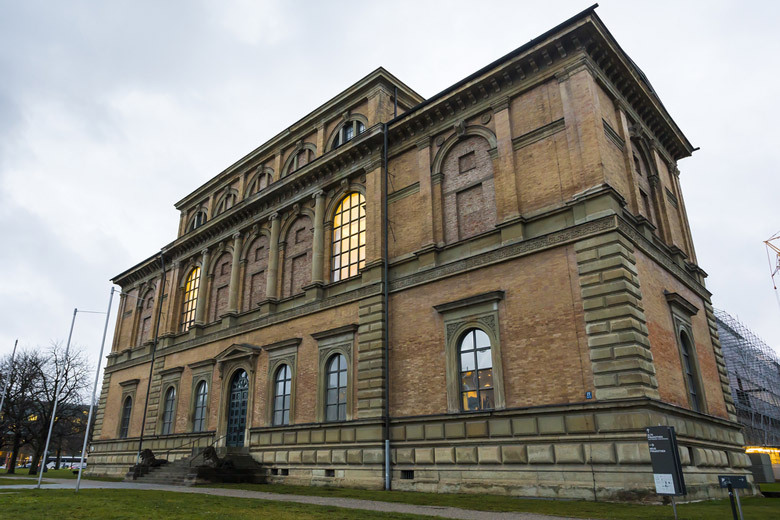 One thing that Munich is well known for is its museums, so if you’re an art and culture lover and are wondering what to do in Munich, you should plan a visit to Alte Pinakothek. Meaning Old Pinacoteca (from the ancient Greece for picture gallery), the old gallery is named as such because of the period of artwork in its collection. It is famous for its Old Master paintings and has works dating from the fourteenth to the eighteenth century. German, Netherlandish, Dutch, Fleming, French, Italian and Spanish paintings are all featured and there are works by El Greco, Giotto, Rubens, and Leonardo Da Vinci, to name just a few. Explanations are included in both German and English, but for the best experience purchase the audio guide as you simply key in the number of the painting you want to know about and listen to what it says. The museum café is very popular and provides a welcome place to rest your feet after touring the museum and if you visit on a Sunday the museum admission price is reduced. If later works of art are more your thing, Neue Pinakothek covers nineteenth century art, and the new Pinakothek der Moderne focuses on modern art. The Castle of the Nymphs, Schloss Nymphenburg is a stunning example of Baroque architecture that was built between 1664 and 1675 as the main summer palace for the former rulers of Bavaria of the House of Wittelsbach. Situated just to the northwest of the city center, the palace is set amidst beautiful gardens and grounds. Free to enter, the gardens with their own canal, and the palace as a backdrop, are a lovely place to spend several hours wandering around, even if you don’t pay to go inside the palace itself. Having said this, you’ll be missing a wonderful Munich attraction if you don’t go inside. The palace’s interior is lovely and although there are only limited rooms open to the public, the rooms you do get to see are filled with period furniture and works of art. The massive palace is also home to several museums including the Palace Museum itself, the Carriage Museum, Porcelain Museum, and Museum of Man and Nature. 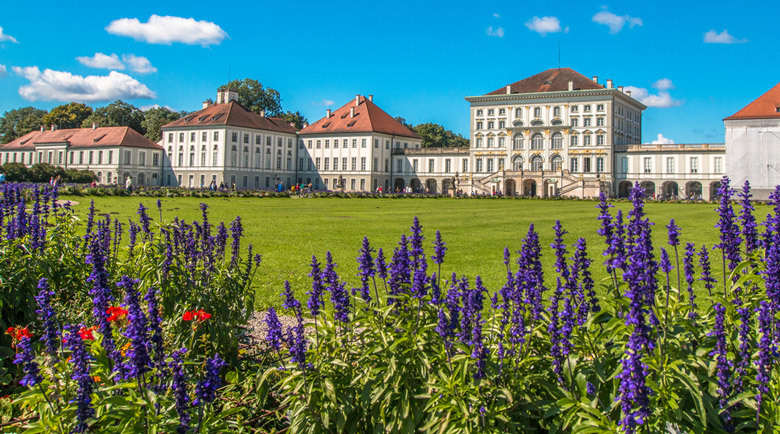 Although situated outside of the main city center, Schloss Nymphenburg is very easy to get to using Munich’s excellent transport system by taking tram number 17. 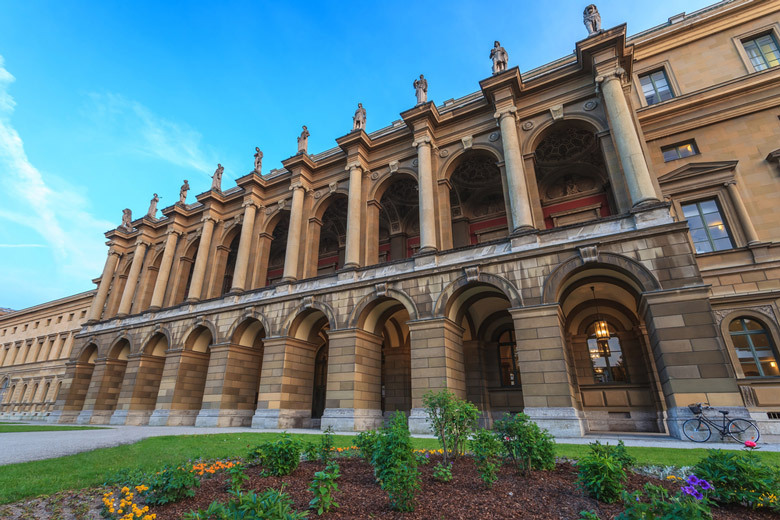 If you’re looking for things to do in Munich and you enjoy museums, the Deutsches Museum is a must-visit attraction. Not only is this the largest museum in the city, it is reputedly the world’s largest science and technology museum. 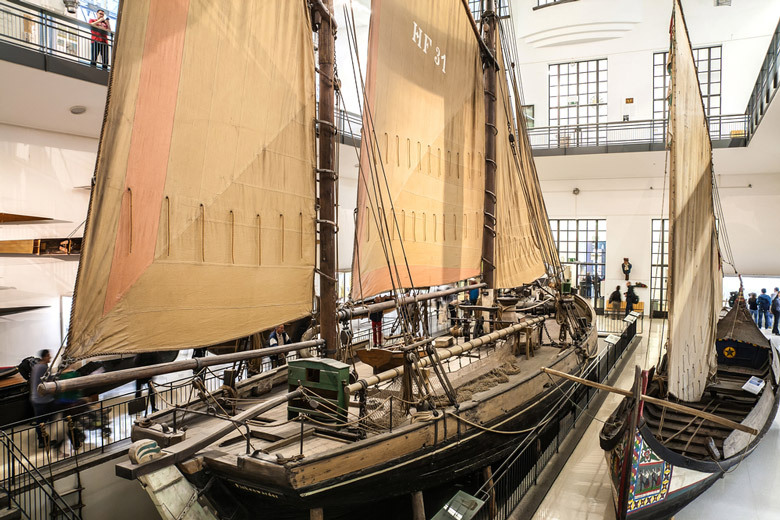 Featuring somewhere in the region of 28,000 items exhibited from across fifty different science and technology fields, Deutsches Museum has grown substantially since it was first established in 1903. Being such a large museum, it’s difficult for visitors to see everything in one visit. 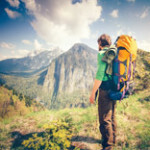 If you can’t come back for a second visit, be sure to plan your day and head for the sections that most interest you. There’s something for everyone here, from Aerospace to Astronomy, Computers to Music, and Tunnel Construction to Energy. You’ll see exhibits that include boats, planes and submarines through the ages, and there are lots of interactive exhibits that will especially appeal to any children. A guided tour could be another good way to make the most of what this museum offers, and once you’ve looked around there’s a very good museum shop on-site. 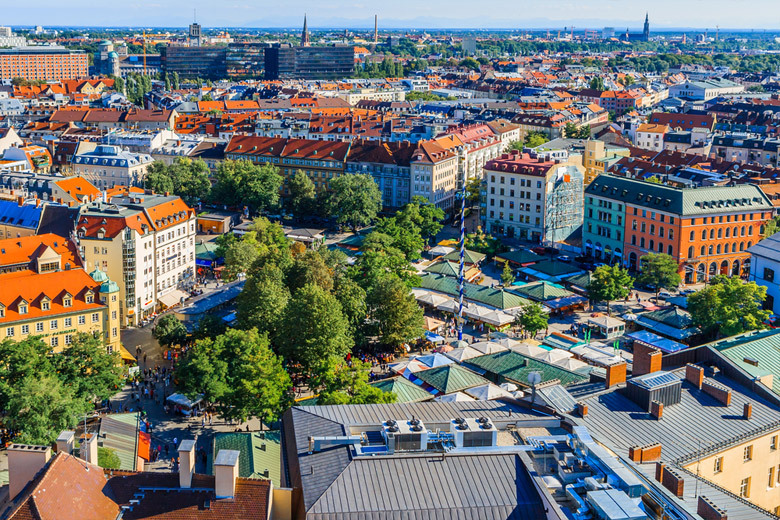 There’s no doubt that Munich is famous for its beer and if you’re visiting the city during the Oktoberfest you should most certainly plan to spend some time at the home of Oktoberfest, Theresienwiese. At any time of year though, you can sample the festival atmosphere by visiting the city’s most famous beer hall, Hofbrauhaus am Platzl, in the center of the city. You’ve never really experienced German beer until you’ve drunk it in a beer hall. Originally built in 1589 as part of the Staatliches Hofbrauhaus in Munchen brewey, the hall was opened to the public in 1828 and has been extremely popular ever since. 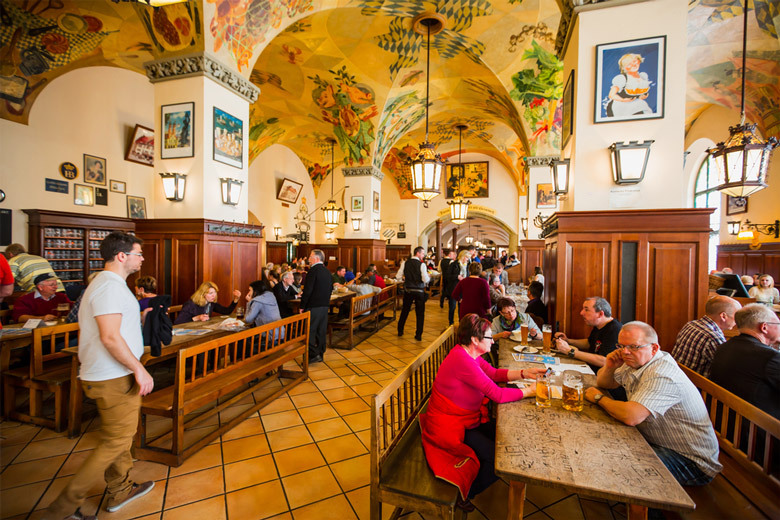 Even if beer is not your thing, a visit to this beer hall is one of the top things to do in Munich, so it should be on your list regardless. What you’ll see here today was rebuilt following World War 2 as everything but the ground level was destroyed, but it was painstakingly rebuilt to its original design. Come here for a cool beer and some local Bavarian cuisine, including Bratwurst and Weisswurst and a giant soft pretzel called Brezn, then sit back and soak in the vibrant atmosphere that’s always present, whatever the time of day or night! In a city that’s famous for its beer and food, Viktualienmarkt is bound to be a popular Munich attraction. The slightly unusual name has nothing to do with aliens, in case you were wondering! Instead it comes from the Latin word, Victual, meaning food. 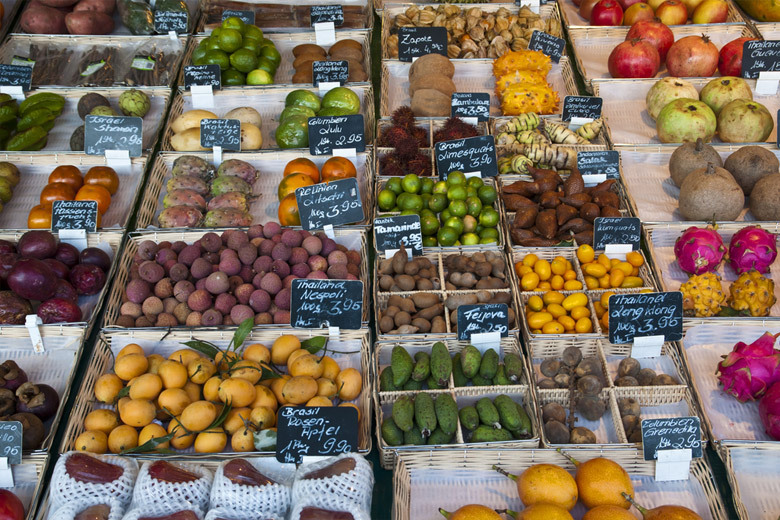 The food market is a daily sight, set on a square of the same name, in the center of the city, and it’s developed from its routes as a standard food market into more of a place for gourmets. But it’s not just food that’s sold here; across the 140 or so stalls and shops there are flowers, food, beverages, and souvenirs including local handicrafts, and there’s also a small beer garden right in the middle of it all. The foods are definitely the highlight though, so if you’re in the market for fresh produce or would like to try something a little different while visiting the city, this is the place to go. Look for fresh poultry, fish and game as well as all kinds of cheeses, and many tasty treats. 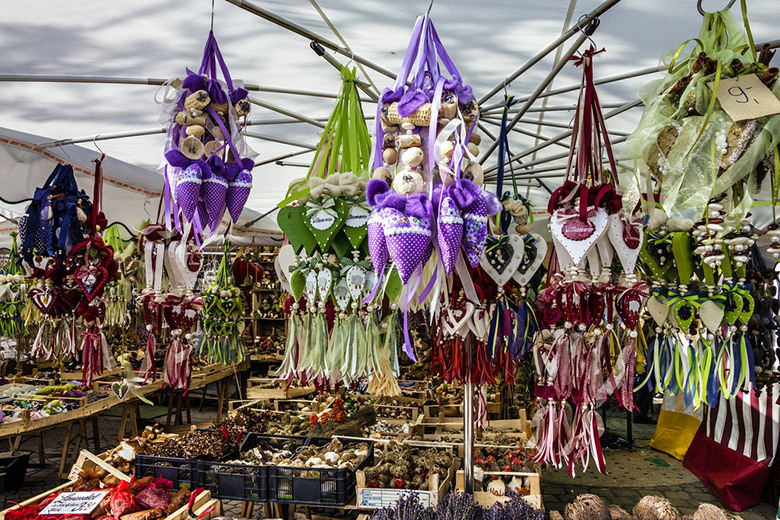 Viktualienmarkt is open Monday to Saturday with official opening hours of between 8am and 8pm, but bear in mind that many of the stalls and surrounding shops keep their own business hours. While Nymphenburg Palace was their summer palace, Munich Residenz (or Residence) was the main former palace of the Bavarian monarchs of the House of Wittelsbach. Being located right in the heart of the city definitely helps to make this one of the top things to do in Munich. It is only a few blocks away from Marienplatz and is the largest city palace in the whole of Germany, set over many buildings that span ten courtyards and 130 rooms. Some areas of the palace were destroyed during the Second World War but have been restored to their former glory, and what amazing glory that is! The rooms are decorated and furnished in period style with elements of opulence. Many parts of the palace that are open to the public are grand, but be sure to visit the Antiquarium as it is absolutely stunning and a highlight for many visitors. The Treasury and the Theatre can also be visited though you’ll need an additional ticket for these buildings, however, you can wander around the attractive gardens, named Hofgarten, to the front of the palace. Parts of this palace date from 1385, but there have been many additions to it over the centuries and today, there are elements of several different architectural styles including late Renaissance, Rococco and Baroque. 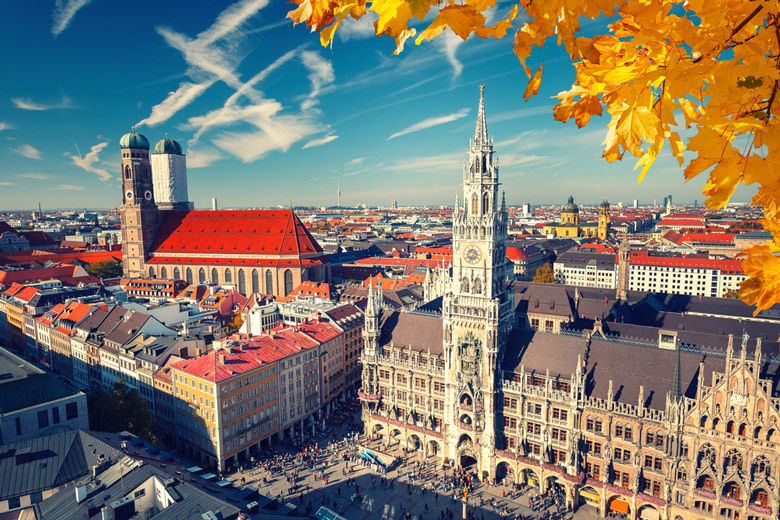 No visit to Munich would be complete without spending some time in its historic center, and there’s nowhere better to do that than on Marienplatz. Meaning Mary’s Square in English, this large town square has been the main one for the city since the town was established in 1158. The square was named for the Marian column, Mariansaule, that was put up in the center of the square in 1638 to celebrate the end to Swedish occupation. The column still stands today and is topped by a golden Virgin Mary statue. Some of the buildings surrounding the square will have changed in its centuries of existence, as have the square’s uses. For example, it held tournaments and markets during the Middle Ages and if you visit this Munich attraction during the Christmas period today, you can enjoy the excellent Christmas Market held here annually. Both the old and the new city halls (Altes Rathaus and Neues Rathaus) are located on the square. The older one features typical Bavarian architecture while the new one is Gothic Revival. Be sure to witness the very popular Glockenspiel performance several times a day! Stay for a drink or a bite to eat at one of the many nearby restaurants or cafes. 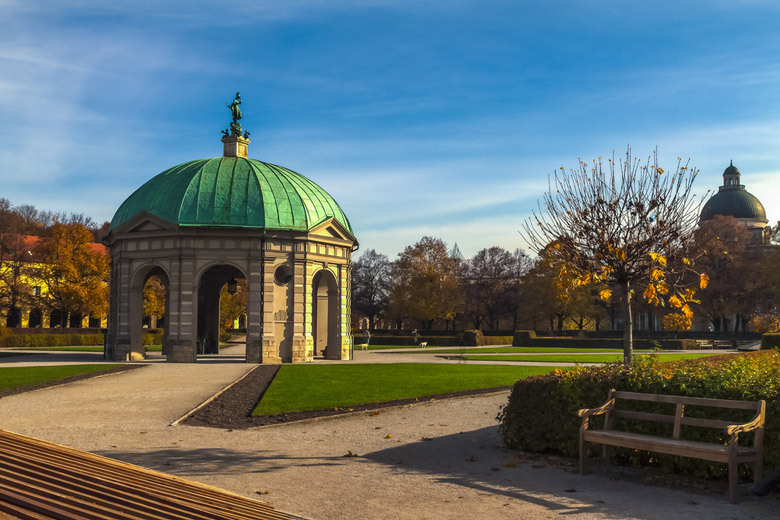 Frequently ranked as one of the top things to do in Munich, English Garden tops our list because it’s attractive, scenic and has lots of different attractions within its boundaries. Oh, and, where else in a European city can you go surfing?! 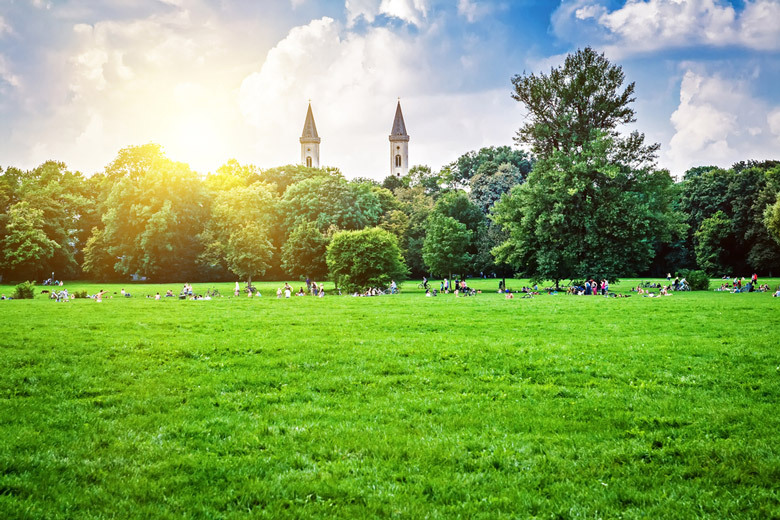 In German it is Englischer Garten and its name refers to the style of informal landscaping that the park has, which was popular in Britain at the time of its creation, not because it’s specifically associated with the English. Created in 1789, it is the largest public park in Munich at 910 acres, and, to put that into perspective, it’s larger than New York’s Central Park. But size isn’t everything. 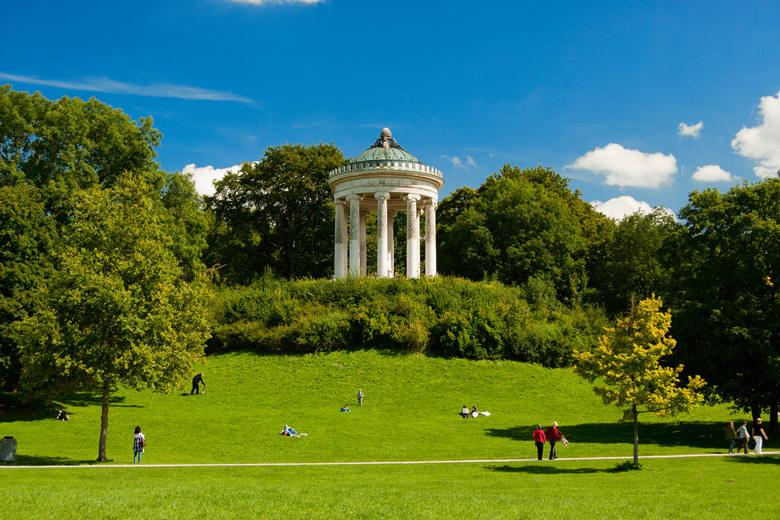 English Garden is popular because it’s many attractions in one, so if you’re wondering what to do in Munich, be sure to spend plenty of time exploring the park. Watching the locals surfing on the river, or perhaps even trying it out yourself, is a highlight for many, while for others it’s the open spaces, trees and greenery that make it so nice. There’s a Japanese Tea House, a Chinese Tower, an artificial lake, a hilltop temple, and a great restaurant for lunch. The only thing to watch out for in this park, are the naked Germans often seen wandering around!